Libraries are great. But fictional libraries? I'm afraid to say they mostly trump reality (I say 'mostly' because there is the slight hitch that they don't actually exist). 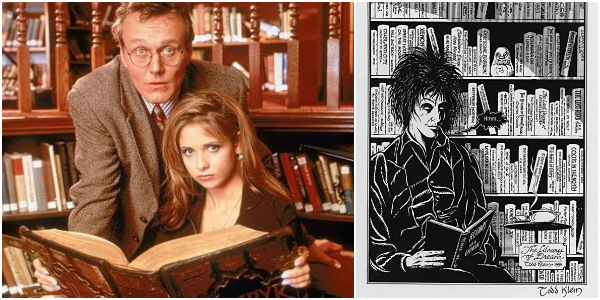 And, last night, as I was rewatching an old episode of Buffy the Vampire Slayer, I thought I'd compile a list of my top ten libraries from fiction (including TV and film as well as books). This is pretty much your average school library. Aside from the wide array of texts about demons and vampires. Oh and not to mention the fact it sits on top of the Hellmouth. Okay, so maybe it's not 'normal', but it's brilliant nonetheless. Besides, who wouldn't want to meet the Scooby gang?! We've all had ideas for books right? And, let's be honest, the grand majority of these ideas never do make it to the page… except for when Lucien's library is involved, of course. Lucien's library contains every book anybody has ever dreamt of writing. Cool, right? Again, like Sunndale High's library, this is no ordinary school library. And, to cut it short: who wouldn't want to go there? Also, isn't the thought of using accio to summon any book utterly desirable? It would save me A LOT of time. 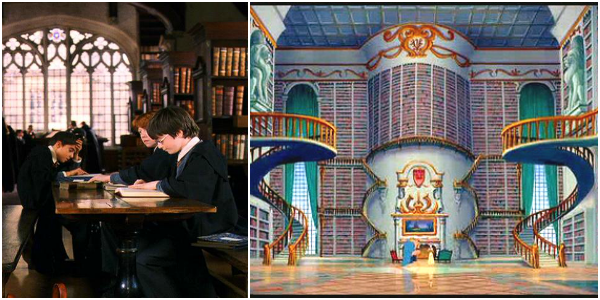 Admittedly, I'm not a Disney fan… yet I can't deny I've always wanted this library. Belle's library definitely makes me one incredibly jealous reader. A whole planet devoted to the storage of books? Um yes! Whatever I think of the current Doctor Who series (one word: meh), the reappearance of this library would probably draw me back into the series! I love it that much. 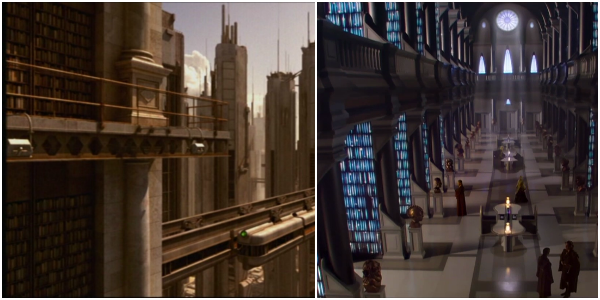 Perhaps a tad too futuristic looking for my liking, but space libraries win EVERY TIME. Okay so this one actually is a 'normal' library, but the reason I've included it is because I'd love to meet the librarian. In the book, the reader is trapped there overnight and I can't deny that would be a fairly interesting experience. Two reasons: a) it's in the Land of Ooo, and b) it's ran by a turtle (!). When I was Matilda's age, one of my favourite books was, funnily enough, Matilda. And to visit the library that meant so much to Matilda would be a heartwarming experience. One thing missing from this list does seem to be the 'creepy' element of libraries. And an Agatha Christie murder mystery set in a library? Perfect, right? Somehow, I wondered if Buffy would get a mention in this post haha. Just need to fangirl about the Hogwarts, and Doctor Who libraries which are amazing. 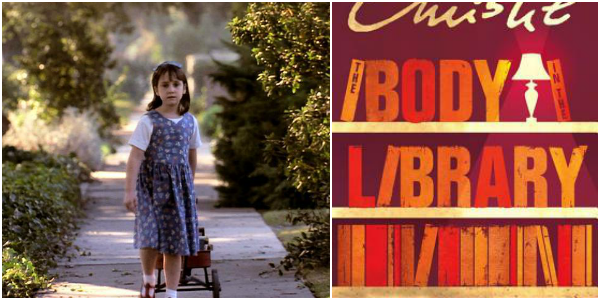 Matilda is one of my favourite films and some of the greatest moments definitely happen when she's in the library. Hogwarts and Belle's library are my top two. It would be soooo cool to study in the Hogwarts library and to have a library like Belle's for my very own! I would want Hogwarts' and Matilda's Library. 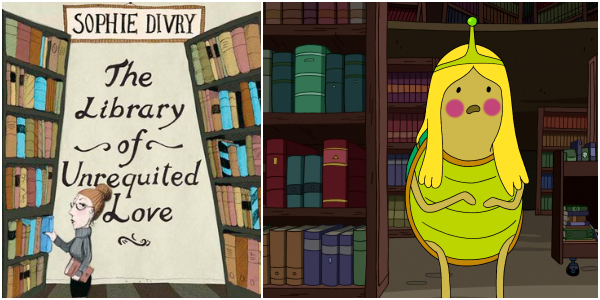 Another great library would be the library from Esacpe from Mr. Lemoncello's Library. Ooh I've never heard of that one? I'll google it later! To be very honest I've only heard of three of these, Hogwarts, and Matilda's and Belle's libraries. Also can I just say, don't hit me or anything, but...I DON'T EVEN KNOW WHAT BUFFY THE VAMPIRE SLAYER IS ABOUT OR IS OR WHAT EVEN LIKE EH?